The Leo New Moon on August 2 is as black as all new moons go, but the dark night sky will be bejeweled with more glimmering objects than normal as all five visible planets will be on display following the setting of the Sun. Mercury is more briefly aglow at sunset while Venus sustains her brilliance through twilight, with Jupiter also shining above as Mars inches toward Saturn in the depth of each night. This is also the pagan holiday time of Lughnasadh, one of the eight sabbats that in the Northern Hemisphere is our Mid-Summer, a traditional celebration of harvest and communal festivities. There is a harvest to reap and share with others in the coming lunar month, and in the twilight hour when cobalt shadows nourish imaginative vision the visibility of all five planets likewise beckon visions of love and creativity. Leo signifies the radiance of the Sun, the radiance of the heart that expresses an audacious glow in the face of the unknown future. The Leo New Moon is separating from a trine with Saturn in Sagittarius and marks the return of Mars to the fiery sign of Sagittarius, with Venus co-present in Leo. This New Moon is an opportune time to figure out what you want and then set your life in motion to go after it through heart-centered expression that unites mind, body, and soul. Saturn continues to be square to the transiting lunar nodes and Neptune, and is slowing to a standstill as it will station direct on August 13. As a result, Saturn is at the crossroads similar to Hekate, serving as the guardian of the threshold holding the wisdom of what needs to be both released and given birth to. The creative actualization of the Leo New Moon needs us to access Saturn through being honest about our essential needs and taking the responsibility to seize the moment with flair and immediacy. The emphasized element of fire in this New Moon is a torch held by Hekate to illuminate a karmic path forward, while disintegrating the fogginess of former illusions. It is important to realize that there is absolutely nothing in the air element at this New Moon, and that in contrast there is a great deal of fire with the Sun, Moon, and Venus in Leo, Saturn and Mars in Sagittarius, and Uranus in Aries. Fire signs are passionate, inspirational, and direct in ardor, and this is great as long as our relationships are aligned with similar goals and needs. Fire signs are not as adept in patience and empathy, or being able to listen to not only the words but the emotions of others and communicate with compassion. Since there is nothing transiting in air signs to help facilitate communication, it will be vital to focus on listening with active presence to the underlying message from others without taking personally the language form or undertones that trigger sensitivities. This is even more the case considering that Mars is in range of a square to both Mercury (separating) and Venus (applying). Uranus stationed retrograde in Aries a few days before the New Moon and so is saturating the lunation in shattering Uranian impulses and insights that bring liberating clarity. Venus in Leo is separating from, but still in range of a trine with retrograde Uranus and so whatever the immediate impact was of Uranus stationing in trine to Venus has already been felt. Oftentimes Uranus stationing can bring an unexpected shock or an upsetting event, yet the catharsis of released emotion and thought can break us free from a past repetitive pattern we realize was underlying the troubling issue. As a result the Leo New Moon has an amplified charge of facilitating a fresh start in an area of life that had become stagnant or limiting. Uranus in its early stages of slowly creeping backwards is potent for opening to unconscious forces as best we can, surrendering to the messages from dreams or the stillness of a moment that gives access to whatever is arising from within. Uranus here can bring sudden revelations that feel more like remembering rather than striving to learn something new. In recent years Uranus has been stationing retrograde toward the end of July, last year stationing retrograde simultaneously with Venus stationing retrograde. In contrast, this time Uranus is stationing retrograde in trine to Venus increasing in light as an Evening Star. Uranus stationing with so much in Leo surrounding it can spark playful rebelliousness and wild abandon, taking whatever opportunities present themselves for claiming the freedom to act from the heart without consideration of societal constructs and conditioning. In the drama of life, the stage is set at this Leo New Moon to imbue your role in life with self-assured panache. Uranus will be retrograde until December 29, 2016 when it will station direct at 20º33′ of Aries. The astrological landscape will be completely different then, with Jupiter in Libra opposing Uranus, and Saturn in Sagittarius in trine to Uranus and sextile to Jupiter. Thus the curtain lifts at the Leo New Moon to unveil the storylines that will coincide with these next five months of Uranus retrograde, and so there is no time like the present to courageously initiate the actions you want to take without reservation. At the same time that Uranus stationed retrograde in the days leading up to the New Moon, Mercury at the end of Leo formed an exact last quarter square with Mars at the end of Scorpio. The square between Mars and Mercury has been a pivotal theme of 2016, as the year began with Mercury forming a square at the beginning of Aquarius to Mars at the beginning of Scorpio. In addition, because Mercury will be retrograde in September there will be two more squares between Mars and Mercury in coming months that could tie back to this time: in September with Mercury retrograde in Virgo and Mars in Sagittarius, and in October with Mercury in Libra and Mars in Capricorn. Mars and Mercury forming a square can correspond with intense arguments, conflicts or anger, yet the volatile nature of these planets are also intrinsic to forcing change. In combination with the stationing of Uranus, the Leo New Moon follows significant catalysts for growth that may have felt uncomfortable but forced an issue needing to be revealed in order to create a necessary shift. The re-entrance of Mars into Sagittarius at the same time as the Leo New Moon seems to be one of those cosmic messages of a vital initiation into a new level of our journey. Mars being in Sagittarius will start to make the movement of Mars moving forward again since being retrograde feel faster and like events in life are picking up again with everything set in motion. Unlike the time period of March through May in which Mars entered Sagittarius only to then stand still and slowly move backwards into Scorpio, this time Mars is on a quest straight through the sign of the Centaur that leads to a conjunction with Saturn and the fixed star Antares at the end of August. 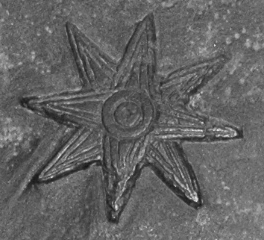 Bernadette Brady in her book on fixed stars said that Antares being a Royal Star “offers great success” but “also indicates that the person may well cause their own undoing,” stating that the essentiality of Antares “to generate success by going through a cleansing life-and-death experience can cause a person to seek this intensity even when it is not required” (p. 287). Since Saturn is also involved in this triple conjunction, the trine of Saturn to the Leo New Moon is opportune for responsibly getting a handle on desires as the month begins in order to creatively manifest whatever is in the highest good rather than set things up for a fall into destruction. At the 2016 Northwest Astrological Conference (NORWAC), Jason Holley gave an insightful talk about Leo entitled Leo and the Solar Field: Creative and Destructive Forces of Narcissism. Holley illuminated both the creative potency and pitfalls associated with Leo through exploration of Herakles wrestling with the Nemean Lion and gaining its impenetrable skin to wear as armor in his following labors. Holley compared the wrestling of Herakles to wrestling with the archetypal field, as the Nemean Lion was an archetypal force that fell from the Moon at the bidding of Hera to destroy Herakles. Holley also focused on the rejection felt by Herakles after returning to King Eurystheus to proudly show off the lion skin he was wearing, only to have Eurystheus become so frightened he hid in a subterranean wine jar. Archetypes are forces that move through us, yet in the myth Herakles merged with the Nemean Lion through wearing its skin, akin to over identifying with an archetypal force in order to inflate the self. Holley linked the narcissism that can come from Leo to prior rejection of the self in childhood or relationships, leading to the compensation of putting on the lion skin and becoming an archetype to generate a field of magnetism for others to orbit around and mirror. Feelings of failure in the ordinary world lead to withdrawal into the extraordinary world in order to preserve a feeling of specialness through charismatic channeling of the archetype. Yet the resulting disconnect with the ordinary brings relational isolation, as becoming a performer adored by an audience also means people are not necessarily connecting with the real person underneath the persona. Holley said while this can be a soul saving gesture in terms of protecting a sense of specialness, the act of making oneself into a performer possessed by an archetype can lead to pressure to perform and no identity outside of achieving ambitions and acclaim. One of the antidotes for destructive narcissism Holley brought up is the need for relational mediation, in which the relational field created with another helps step the archetypal force down into metabolizable parts so that both one’s specialness and ordinariness are embraced, and the individual can feel gifted while also an interdependent part of the group, a star amongst a vast field of stars. This is an important point that can be further connected to the month ahead that also features Mars and Saturn coming together in Sagittarius in addition to the Sun in Leo and Uranus in Aries. Finding and valuing the relationships in which both our ordinary and extraordinary sides are accepted will help us embrace being ordinary, instead of becoming so upset or impatient that we are not achieving our extraordinary ambitions that we sabotage or neglect important areas of our mundane reality and responsibilities. Mercury will play the role of mediator with great aplomb in the coming lunar month, as the planet of Hermes has returned to Virgo, both its home and exaltation. Because Mercury will station retrograde at the end of August, Mercury will continue to be in Virgo through October 7, an excessively long time for Mercury to inhabit one sign. Currently Mercury is both dignified and increasing in light as an Evening Star, a herald of the twilight hour who can help reflect upon and digest the essential learning of each day’s experience. Mercury has also been making pivotal aspects by transit, having moved from conjoining Venus to being square to Mars in the recent past, and in the week following the New Moon will move forward to engage the square between Saturn and Neptune. Mercury opposite to Neptune and in a superior square to Saturn will help clarify any disorientation that has been occurring in sync with the ongoing square between Saturn and Neptune. As Mercury will then cross over the North Node of the Moon, Mercury is not only mediating but guiding awareness toward new opportunities for growth. Returning to Jason Holley’s talk Leo and the Solar Field: Creative and Destructive Forces of Narcissism, Holley made a brilliant point about Virgo and Mercury rooted in the concept of the natural zodiac utilized in Evolutionary Astrology. Holley stated that when there has been too much narcissistic Leo identification with archetypal forces, then the Virgo Mercury role will become overly perfectionist due to the pressure of needing to perform at a high level, feeling both stress and inner judgment in relation to achieving ambitions. Furthermore, just as Herakles performed his labors as an act of atonement so can Virgo Mercury succumb to overworking from a place of guilt more so than intrinsic desire. In contrast, if the mediation of Virgo Mercury can help bring down the narcissism of Leo to being special while also grounded, then the Virgo Mercury can have genuine humility (instead of self punishing humility) and the sort of magical attention to detail and the moment that imbibes the mundane with all of the enchanting Leo magnetism and wonder. The New Moon falls in the second face of Leo associated with the 6 of Wands card illustrated above by Pamela Colman Smith, in which we see a victorious champion riding a triumphant steed and hailed by a wreath of laurel and an adoring crowd. Austin Coppock in his book on the decans 36 Faces ascribed the image of “A Crown of Laurels” to this face, analyzing the second decan of Leo as holding the triumph of great acts performed by those who have created an authentic persona and ego-structure through which to project their spirit. This is fitting as Jupiter rules the second face of Leo. Coppock emphasized that the victory signified by this face “comes through authenticity, not the perfection of character or moral virtue,” and that it is “the temptations of selfishness and cruelty which stain the triumphal nature of this decan, for nothing tests the character so much as victory” (p. 128). 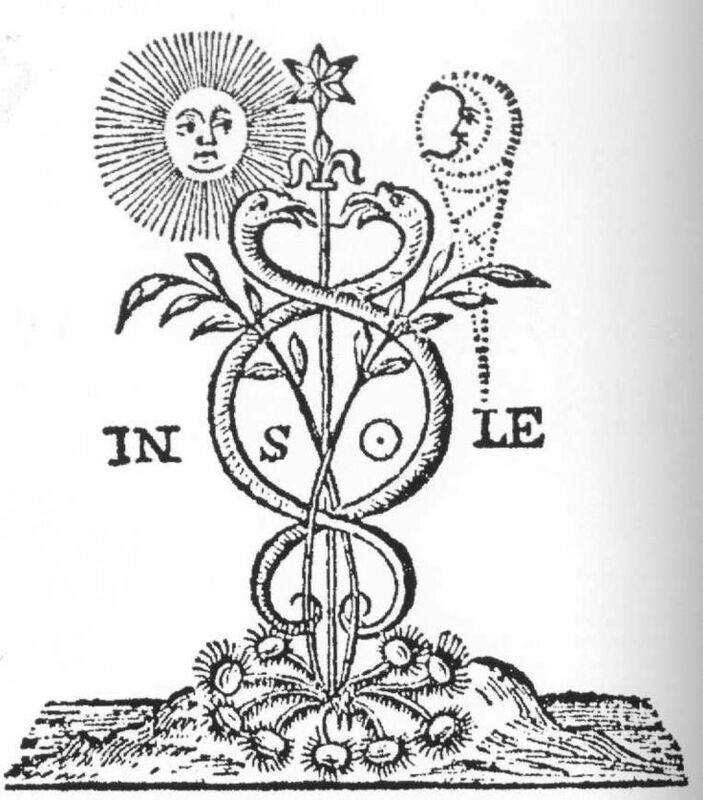 While Coppock wrote that few can rejoice in the light of a lavishly fed ego without becoming blinded, he concluded that the potential of the decan necessitates the alchemy of mediating an authentic connection between the persona one projects into life and the spirit fire within. Jupiter in Virgo at the time of the New Moon is within a degree of where it stationed retrograde in January 2016, and as it has been moving away from its conjunction with the North Node of the Moon and its square with Saturn, it is applying toward an opposition with Chiron and a quincunx with Uranus. There is an essential adjustment to be made in tandem with Jupiter to fully engage with life in all of its mundane details, projecting soulful spirit into the world through our heart-centered essence instead of projecting everything into a relationship or other external dependencies. The bold, passionate immediacy of Leo is a thing of beauty, paraphrasing John Keats, that is a joy of increasing loveliness forever. Find this place of joy within at this fiery Leo New Moon and share its love and beauty with life.